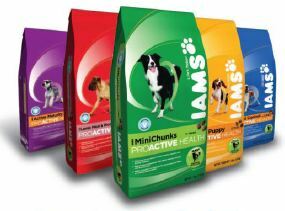 A Dry Iams Dog food was recently recalled – the recall was limited to a small number of bags, BUT the wording of the recall concerned me, and it should concern you. What BOTHERS me is that a fungal toxin is ALLOWED to be in pet food at all. You don’t have to be a veterinary nutritionist to come to the conclusion that fungal toxins should NEVER be in your dog or cat’s food. Would YOU eat food with fungal toxins, or feed fungal toxin laced food to your children? Aflatoxin is a naturally occurring by-product from the growth of Aspergillus flavus and can be harmful to pets if consumed in significant quantities. Pets which have consumed this product and exhibit symptoms of illness including sluggishness or lethargy combined with a reluctance to eat, vomiting, yellowish tint to the eyes or gums, or diarrhea should be seen by a veterinarian. In other words…grain is contaminated with mold, and turned into dog/cat food. You can bet that this grain will NOT make it to the human food supply. Then IF your pet consumes to much of the toxin, they can have liver disease, serious intestinal disease, seizures, and IF consumed in high enough quantities, they can die. There is no mention as to what happens to animals that regularly consume ‘acceptable’ levels of aflatoxins, but you can assume that their liver is affected, as it had to process this toxin. My suggestion is to NOT feed aflatoxin to your pets. 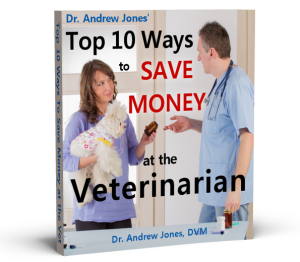 And you may need to accomplish this by feeding higher quality dry food, home made food, and raw. P.S. I do feed my dogs and cats dry kibble, and I will be contacting the companies to see IF they allow aflatoxins in their food. I have been offering raw food more often lately, and Lewis my Lab is responding well, with more energy. I am offering ground turkey, mixed veggies, and my supplement. CINCINNATI, OH December 6, 2011 – The Procter & Gamble Company (P&G) has voluntarily retrieved a single production lot of dry dog food due to aflatoxin levels that were detected above the acceptable limit. This product has already been retrieved from store shelves. No illnesses have been reported in association with this production lot to date, and no other Iams pet food products are involved. The affected product lot was distributed to a limited number of retailers located in the eastern United States (AL, CT, DE, FL, GA, LA, MD, ME, MS, NC, NH, NJ, NY, PA, SC, VA). These retailers have already removed this product from store shelves. No other dry dog food, dry cat food, dog or cat canned food, biscuits/treats or supplements are affected by this announcement. While no health effects related to this product have been reported, P&G retrieved this product as a precautionary measure. Consumers who purchased the product listed should stop using the product and discard it and contact Iams at the number below for a replacement voucher. Aflatoxin is a naturally occurring by-product from the growth of Aspergillus flavus and can be harmful to pets if consumed in significant quantities. Pets which have consumed this product and exhibit symptoms of illness including sluggishness or lethargy combined with a reluctance to eat, vomiting, yellowish tint to the eyes or gums, or diarrhea should be seen by a veterinarian. This reminds me of a certain amount of nasty stuff allowed in various quantities for many foods consumed by people. Our Dog became sick…we didn’t know what was causing him to vomit. He wouldn’t eat his food when I put it in his dish until late at night. Not realizing it this poor dog only ate the food because he was starving. I began to think it could be the food so I bought him a new bag of food. Iams Healthy Naturals, as soon as I put it in his dish he ate it all up. Now he eats all his food and stopped vomiting. Not sure exactly the name of his food but it was Iams dog food. I dump his food in a container and threw away the bag. We are happy to have him back to his normal self. Just wanted to bring this to your attention.